LAKEVILLE, Mass., Feb 13, 2019 (SEND2PRESS NEWSWIRE) -- Lift & Care Systems is proud to have a working relationship with, Homes for Our Troops, a non-profit organization that has a mission to build and donate specially adapted custom homes for severely injured post-9/11 Veterans, to enable them to rebuild their lives. SureHands is a corporate partner with Homes for Our Troops, and as the authorized SureHands Patient Lift system vendor in the Massachusetts, Rhode Island and Connecticut areas, Lift & Care Systems helps with the design and layout of the patient lift systems integrated into homes built in these areas by Homes for Our Troops. "My father was a Veteran who served in the Navy before starting this company, so we are passionate about seeing that our disabled Veterans get to live a productive and meaningful lives despite their disabilities," said Dave Austin, President of Lift & Care Systems. "We believe in the mission of Homes for Our Troops, and are proud to help them with their mission in any way that we can." 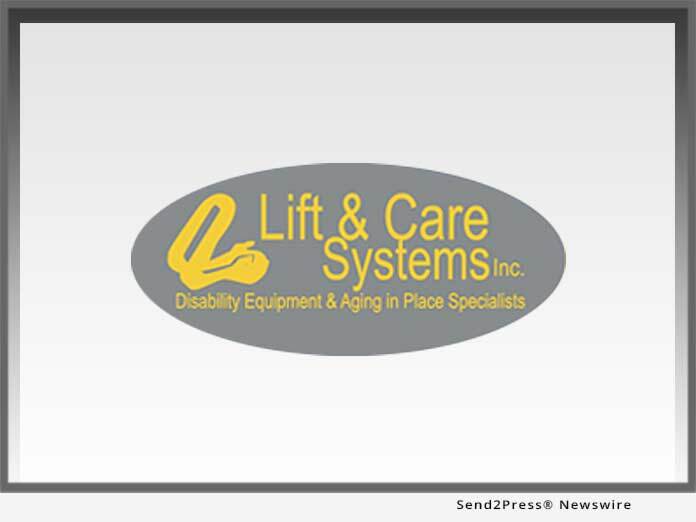 With over 26 years of experience helping people with disabilities, Lift & Care Systems is in a unique position to help Veterans, especially when it comes to the high cost of purchasing durable medical equipment such as ceiling lift systems, wheelchair ramps for the home and vehicles, chair lifts for stairs and much more. "There are a lot of sources to help fund the durable medical equipment needed by Veterans that most people just aren't aware of," said Dave Austin. "But we work with the Veterans and their families to connect them to grants and funding through Veterans Administration services, non-profit organizations, private foundations and local governments and businesses, and more." This service, along with continued support for disabled Veterans, aligns with Lift & Care Systems' primary goal of making independent living a reality for many people and to achieve the highest quality of life for both the users and caregiver. Founded in 1993, Lift & Care Systems, Inc. is located at 7 Precinct Street in Lakeville, MA 02347. For additional information, or to arrange for a free personal consultation, please call 508-465-5254. Website: http://www.liftandcaresystems.com/.